The summer months can be a little quiet when it comes to artists releasing new material. Usually there are not so many new album releases during July and August, but now that the summer is coming to an end in Europe, it seems our favourite little pop stars start promoting again with new single releases. Over the past few days Taylor Swift, Emmelie De Forest, Marit Larsen, Carl Espen and Charli XCX launched a new song. Have a listen below! Since last night, all Eurovision finalists of this year are known. In the second semi final, once again ten countries qualified. Where the first show on tuesday had a few surprises, but no big mistakes, the results in the second show were a bit less fortunate. 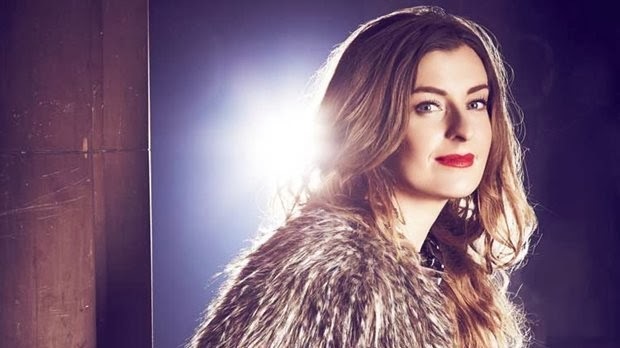 Let’s be real here, Israel absolutely deserved a spot in that final with Mei Finegold’s excellent performance of the strong song ‘Same Heart’. It is unbelievable and not deserved that they are out. Other than that, I predicted the finalists right and can’t wait to see what happens on saturday, but first, a few words on every performance in this second semi. Malta had the honour of kicking off the show on thursday. Their ‘Coming Home’ is a pleasant song with a charming and warm quality about it. Firelight’s lead singer has a good voice and comes across well on screen. The parts that feature the female vocalist, are pretty good as well. I am not sure if this will bring them to the higher regions of the scoreboard on saturday, but this was definitely good enough to qualify in this semi final. This was the biggest shock for me when it comes to this year’s semi final results. How on earth could this not qualify when only 5 songs did not go through and at least half of the 15 performances were absolutely not even close to the same league as Israel’s performance. Mei Finegold looked like a star, sounded very powerful and the staging of the performance overall came across very well. 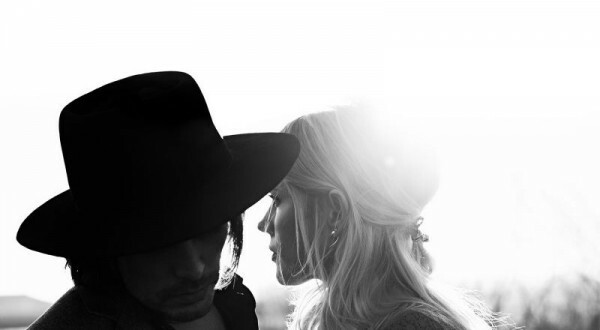 ‘Same Heart’ has a strong chorus and is a very modern pop track with a slight twist of dance. Maybe the aggressive style of performing this angry song put Europe off it. I will definitely miss Mei in the final and I would not be surprised of Israel pulls out of the contest after they missed the final twice in a row while they deserved so much better. After the powerhouse performance of Israel, Norway brings a very pure and emotional moment to the contest. 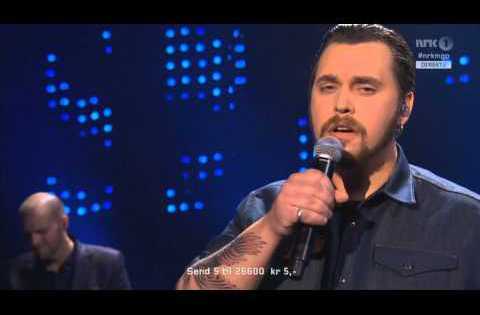 Carl Espen gives a touching performance of his ballad ‘Silent Storm’. The verses are performed very understated with soft vocals and piano as only instrumentation, but during the chorus, his voice gains more power and strength and a full orchestra joins in. For me, this is absolutely one of the best songs of the year and his performance does it justice. I expect to see him in the top 10 on saturday. And after a sure fire qualifier comes a song that sure as hell did not stand a chance. I am not saying these people have no musical ability or talent, because they obviously have, but in this song it just did not work. It seems like they tried to put as many ideas, styles and what not in 3 minutes, which makes a mess of both the song and the performance. There was absolutely nothing that made me want to listen to this again, so I am not sad that Georgia did not make it to the final this year. Poland is giving their best this year for Eurovision, as they send the biggest hit of the year in their country to the contest. Donatan & Cleo’s ‘My Slowianie’ already has over 40 million views on YouTube. I really like the mix of folk music and hip hop which sounds cool, but the shouty singing and not so strong English lyrics are not my cup of tea. The act with the big breasted ladies from the music video is funny, but does not add anything to the song really. I would not have missed them if they did not qualify, but for Poland in Eurovision, it is a good thing they made it to the final which such a big national hit. 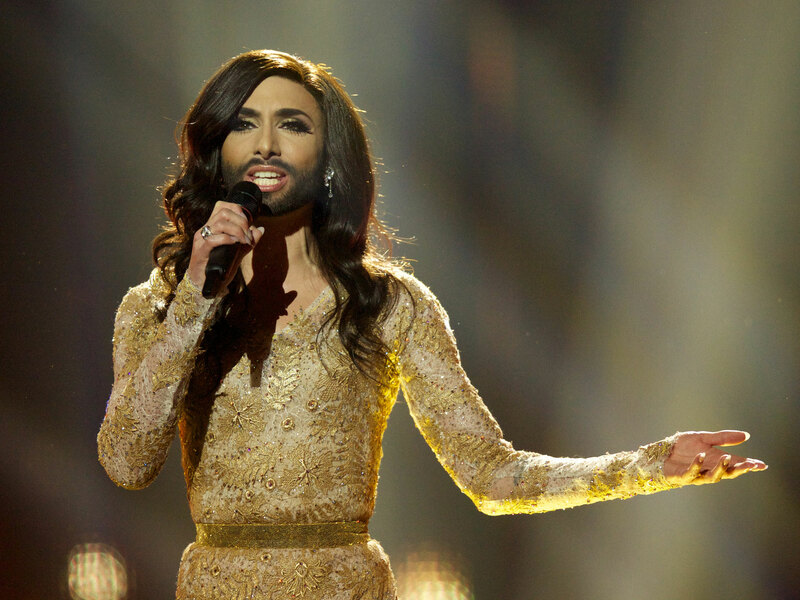 I guess we all knew this night would be all about Conchita Wurst. The Austrian drag act did get a lot of attention before the song contest even started, but with her perfromance, she showed she is not a gimmick. Conchita has an amazing and powerful voice and her song ‘Rise Like A Phoenix’ is absolutely one of the best of this year. It is dramatic, it has a James Bond flavour, the climax is impressive and of course the message of the lyrics and her appearance should be heard. Conchita Wurst shows you can be anything you want to be, which is important taking into consideration the recent political situations for the gay community in some countries. It is good to see all the love she received during the results. This might well be a big contender for saturday night now that she is in top 3 of the bookmakers as well! Lithuania had the hard job to perform after Austria and to be honest, their show just did not make any impression after Conchita. Vilija tried her best to get the attention in a quite literal way, but the screamy vocals and somewhat strange choreography did not really help her. Somewhere in ‘Attention’ a nice pop melody is hidden, but because of the noisy production and loud vocals, this does not really come across very well. I was quite sure she would not make it. This was the suprise of the evening for me in terms of performances. I really liked this pop-rock song from the first time I heard it, but I was impressed even more by the performance. The young singer of the band sounded quite good and all members came across very well on screen. Another great thing about the performance was the light show that looked really good. When the explosive chorus of the song started, blue lights were visible all over the stage which was a great visual. If they can pull off another performance like this, they might get a decent result on saturday, especially because ‘Something Better’ is the only pop rock song in the final and in it’s genre, it is pretty good! Although I think Ireland’s song this year was quite good, I knew it would be hard for them to qualify as ‘Heartbeat’ does not really stand out. When you listen to it, it is definitely pleasant, but just after the song is finished, you already forgot you ever heard it. The song misses something memorable and this could have been solved with an amazing performance, but that did not really happen. Kasey is a talented singer, but she did not manage to perform the song faultless and although she looked stunning, the visuals on stage were one of the weaker moments this year. I saw it coming that they would not go through, but this song was nothing to be ashamed of. To be brutally honest, I could really have done without Belarus in the final this year. To me, he is like a poor man’s Robin Thicke and I don’t even like Robin Thicke! Although TEO’s vocals are alright, his English is just not good enough to perform a song in that language. I can’t really listen past the silly lyrics of the song, but I still kind of understand why people might like the laidback vibe of the song. This was translated well into the performance with some lazy moves that even looked quite cool in some weird way. I expected him to make it to the final, but definitely not instead of Israel. How is this better than poor Mei Finegold? Oh Tijana, where should I start? She seems like such a nice and enthusiastic person, but that performance was like a train wreck. Just like Ireland, this decent but not so special track needed an awesome performance to stand out, but this performance stood out for all the wrong reasons. The dancer looked out of place, the camera positions where not so strong, her own little choreography looked awkward and even her vocals were not as strong as they needed to be. Tijana sounded shaky and looked like she was scared, especially in the first part. Although the melody of the song is quite catchy, the lazy use of the word ‘beautiful’ in the chorus just does not do it for me. I’m sorry, but this just was not good enough. Catchy summer tune from Greece with some dance and rap influences. Not really my thing, but I can definitely understand why they qualified. They gave an enthousiastic performance, although the singer really needs to up his game if they want to stand any chance of winning on Saturday. I don’t really think or hope they will go as far as that, but of course they stand a chance at a place in the top 10, like Greece does basically every year. I am not a big fan of the trampoline at the end as it does not really make any sense to me, but oh well. Curious to see though if they will get any 12 points on saturday now that Cyprus does not participate anymore. This was the one and only finalist that I did not predict right. I do like Tinkara’s song, but like what I said about Ireland, it is quite forgettable. I thought it needed an epic performance to qualify, but that performance never came. Her vocals were ok, but there was not much more to it. I am happy for Slovenia though, as they send good songs almost every year, but never really get the high results they deserve. Still this performance leaves me wondering, as it is an ok song with a mediocre performance. Israel had a good song with a great performance. I know I can’t stop talking about Israel, but why Europe? Why? Romania was one of the favourites in this semi final so no surprise there that they qualified. Their performance looked and sounded good and especially the high note Paula did was impressive. Other than that, the song is kind of disappointing to me. Their ‘Playing With Fire’ from 2010 was way better and more original. I don’t expect them to come anywhere near that 3rd spot they reached with that song. Although the track is catchy, the rhyming of ‘Miracle’ and ‘beautiful’ is a little cringy and there are a lot of better songs in this genre. Still, they deserved to qualify and will definitely get a decent result on saturday. Now that every finalist is known, I think it will be a very exciting final. I, myself am really looking forward to the performances of Spain’s Ruth Lorenzo, Molly from the UK and Emma from Italy that we did not see before. Based on what I have seen so far, I hope Austria, the Netherlands, Sweden, Spain, United Kingdom, Azerbaijan, Norway, Hungary and maybe Armenia and Italy are going to battle for the places in the top 10 tomorrow.